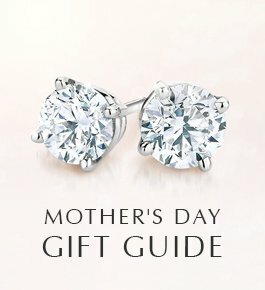 Discover the meaning and history of birthstones by month and find the perfect birthstone jewelry for yourself or a loved one. 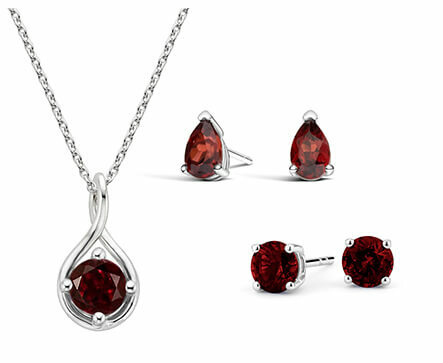 Recognized for its deep and mesmerizing reddish hue, garnet is the birthstone of January. Garnet’s popularity dates back to ancient Egypt, when the gemstones were exchanged between friends to signify trust and friendship. The name "garnet" originated from the Medieval Latin word "granatum", meaning "dark-red." Garnets come in every color except blue, but their most popular variation is the iconic red for which they are known. Mined in Arizona, garnets are the perfect stone for a romantic look and have long been a coveted gemstone choice. 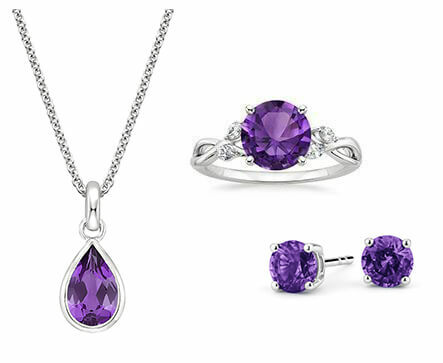 The jewel of royalty, amethyst is February’s birthstone. A form of the mineral quartz, amethyst has a violet hue and attractive luster. It is often found in the country Paraguay. As one of the most precious and valuable forms of quartz, amethyst owes its vivid color to iron and aluminum trace elements found in the mineral. Featured in crown jewels and in many historic pieces from medieval times, amethyst is a wonderfully colorful gemstone, perfect for jewelry. A stunning light blue variety of the mineral beryl, aquamarines are the birthstone of March. Named for “aqua marina” or “water of the sea” they range in color from a pale blue to pale green. 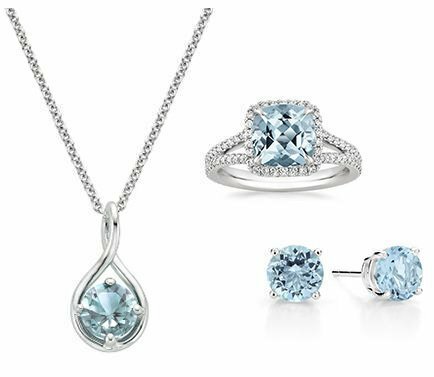 Long believed to endow wearers with courage and happiness, aquamarines are an incredibly lustrous and attractive gemstone in all types of jewelry. 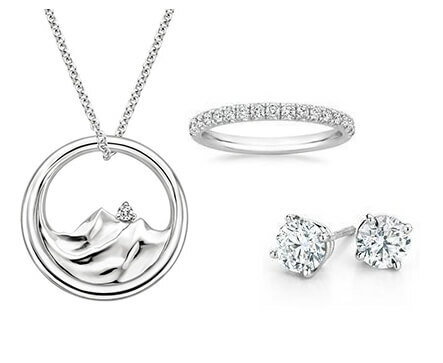 As April’s birthstone, diamonds are an ideal gift for a loved one born in April. As the precious gemstone with the highest rating on Moh’s hardness scale, with a score of 10, diamond has the unique ability to be cut and polished with the utmost brilliance. 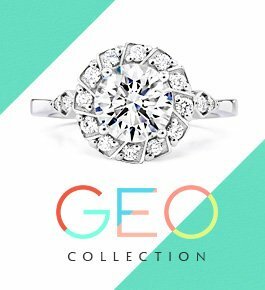 Its incredible shine and luster have captivated wearers for centuries, and for that reason diamonds remain the most popular and most precious gemstone. Diamonds add light and beauty to any occasion. 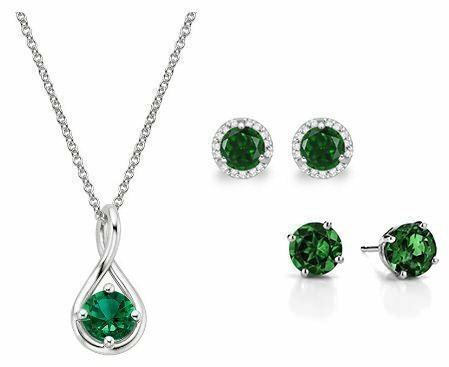 Emeralds, the birthstone of May, are a rich green variety of the mineral beryl and radiate vivid and eye-catching color. Ranging in color from a greenish-blue to green, they have a clear depth of color that few gems command. Known as the gems of romance and intrigue, emeralds are one of the rarest gemstones, and their unique and highly coveted color make them a prized and special gift for any loved one born in May. The lustrous and ever-classic pearl is the birthstone of June. 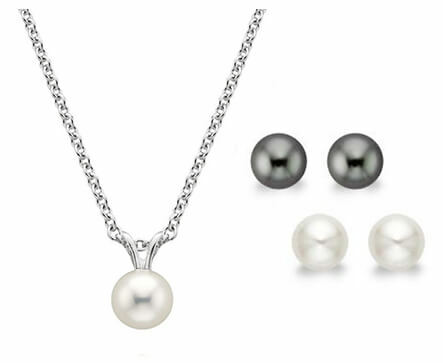 Featured in jewelry for centuries, pearls are prized for their natural beauty, rarity, and unique appeal. Pearls grow naturally in mollusks. Pearls can vary in color, from a bright white, to peach and pink, and even to deep blues and greys, all with a luminous and satin sheen. They are known to evoke light, warmth, and love, and make the perfect gift for those born in June. 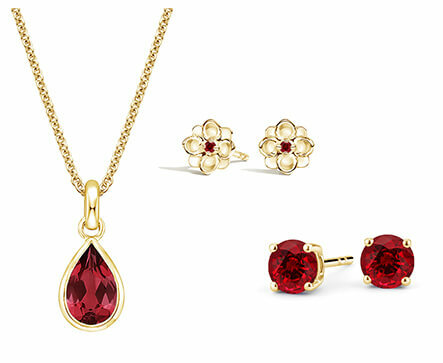 Rubies, the birthstone of July, are prized for their vivid pinkish-red hue and incredible shine. Rubies are a variety of the mineral corundum. The presence of aluminum oxides in the corundum mineral gives it the vibrant red color for which rubies have become iconic. Known to bring good health and fortune to wearers, rubies add romance and beauty to gifts for loved ones from July. Peridot is the birthstone of August. 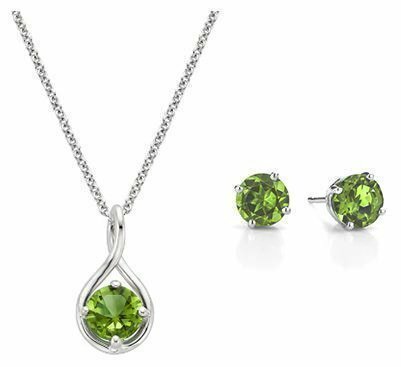 A vibrant yellow-green, this gemstone is known as a symbol of opportunity and prosperity. Its vivid green color occurs due to iron content present in the mineral. Typically mined in Arizona, peridot comes from the olivine mineral family. Its stunning pastel color makes it an ideal choice for gifts for anyone born in August. 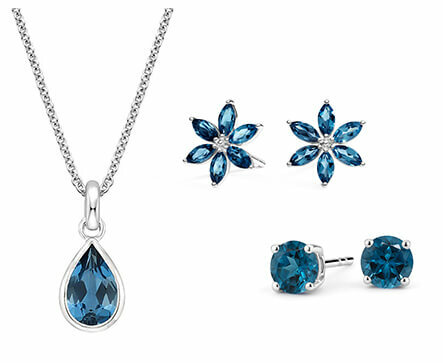 Sapphires, the iconic September birthstone, dazzle with their incredible luster and deep velvety-blue hue. 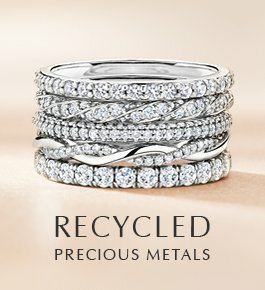 They have long been prized as one of the world’s most precious gemstones, and are exhibited in a number of crown jewels. 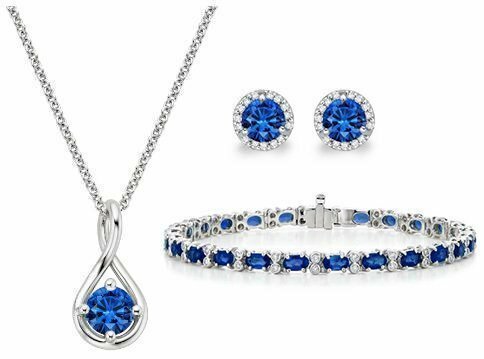 Sapphires come in every color, but are most well known for their stunning royal blue and light pink tones. 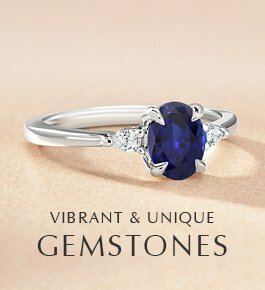 A variety of corundum, similar to rubies, sapphires’ hardness and natural shine make them ideal for jewelry, especially for a loved one born in September. 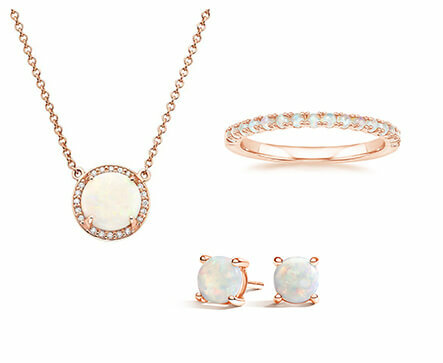 The opal, October’s birthstone, catches the eye with its incredible range of fiery colors. Opal is a gem quality form of the mineral silicon dioxide, and can come in a variety of colors, ranging from a deep orange to the white and blue fire for which it is well known. Its name is derived from the Sanskrit word for “stone.” Some opals are even found deep within ironstone boulders and are known as boulder opals. The mesmerizing and attractive color play within an opal makes it a celebrated gemstone and the perfect gift for those born in October. Citrine, a bright orange-yellow form of quartz, is the birthstone for November. 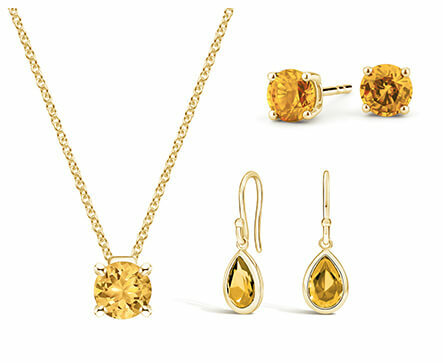 Known as a symbol of happiness, citrine’s name comes from the French word for lemon. Though their color tends to be more golden than lemon yellow, citrine gemstones can range in color from a glistening light yellow, to a reddish brown. Citrine’s attractive color and versatile use in jewelry makes it incredibly popular and the perfect gift for a loved one born in November. Turquoise is the unique and stunning birthstone of December. It offers variety and intrigue with its earthy blue tones, opaque luster, and rich history. Its rich blue color comes from the copper content inherent in its mineral composition. Turquoise often contains embedded pyrite, also known as fool’s gold, as well as black oxide veining that gives it wonderful texture. Highly valued for its striking namesake color, turquoise is an ideal choice for gifts for those born in December.